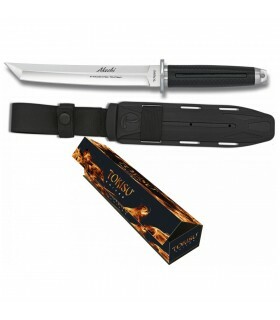 Adventure knives There are 16 products. 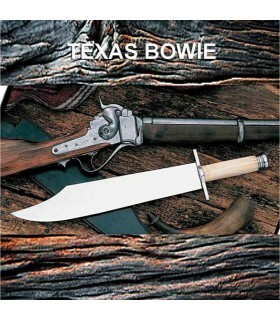 The first bowie knives were large, strong and sharp. Despite the size of this Bowie, the total weight is only 680 gr. 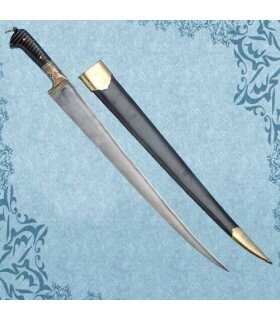 The wooden handle is 13 cm and the brass guard is 12 cm. Includes leather case. 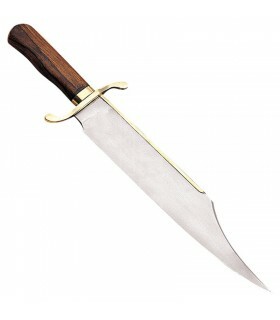 This effective knife is a copy of an English bowie made for the United States. 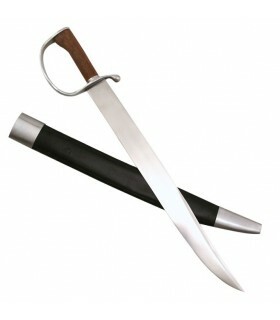 The blade is hand-forged in carbon steel. 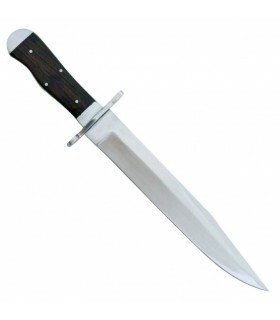 This knife has dark-tone polished wood scales that cover the entire spike. It has all the steel parts to match the blade. Includes leather case. 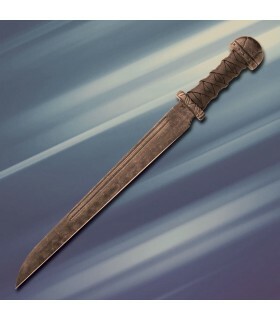 Bowie knife used by the Confederates in the American Civil War. It is functional. 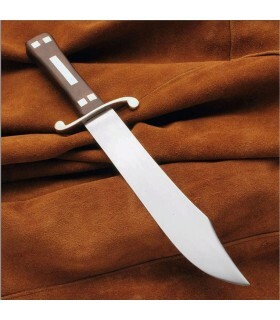 Blade made of carbon steel. 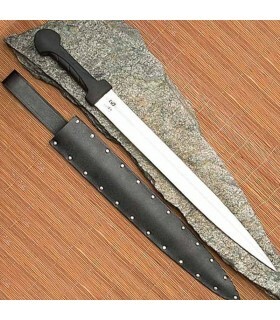 Maldon Seax knife mounted as a sword with carbon steel sheet finished 1065 with old andsharpened. Espiga very wide and tempered with a hardness of 50 HRC. It includes cover with matching belt clip. 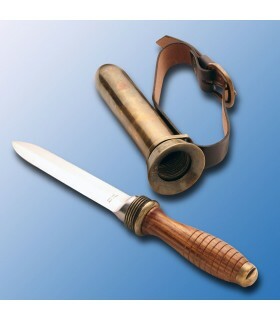 Scuba knife with blade in carbon steel, handle in wood and knob and ferrule in brass. Includes leather strap. Manufactured by Windlass Steelcrafts®. It is strong and strong that was used until Vietnam by special bodies such as UDT and SEALS. A true beauty and is ideal for any collector of military or maritime items. 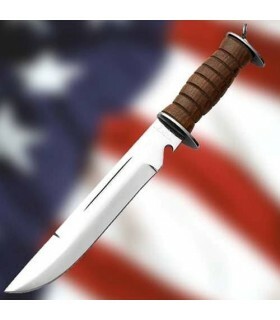 Bayonet with karga blade M1 Garand Springfield is, without doubt, the most desirable of all the bayonets u.s. and within the authentic the most difficult to find or afford. Our replica is a faithful reproduction of the original. Made by Windlass Steelcrafts®. Japanese knife Tokisu Akechi with a sheet of 19.4 cms. made in stainless steel. 7Cr17MoV (CNC). 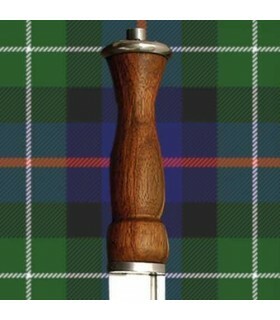 The handle of this knife is made of rubber thus offering a better grip. Includes a nylon sheath. 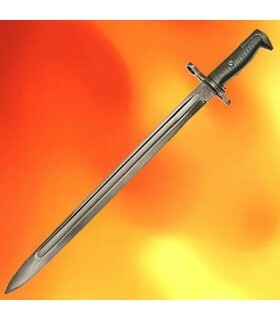 Japanese knife Tokisu Musashi with a blade of 15 cm. made in stainless steel. 7Cr17MoV (CNC). 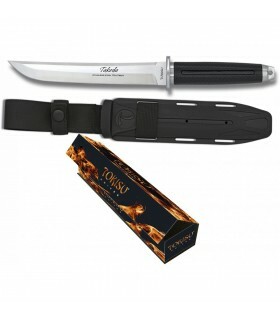 The handle of this knife is made of rubber thus offering a better grip. 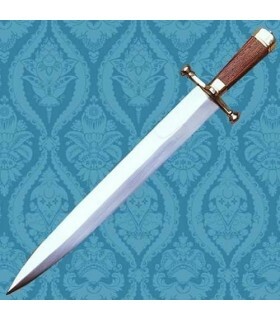 Includes a nylon sheath. Japanese knife Tokisu Takeda with a sheet of 19.4 cms. made in stainless steel. 7Cr17MoV (CNC). 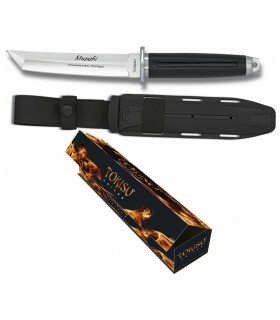 The handle of this knife is made of rubber thus offering a better grip. Includes a nylon sheath.